Law enforcement visited Machelle Hobson's home before. 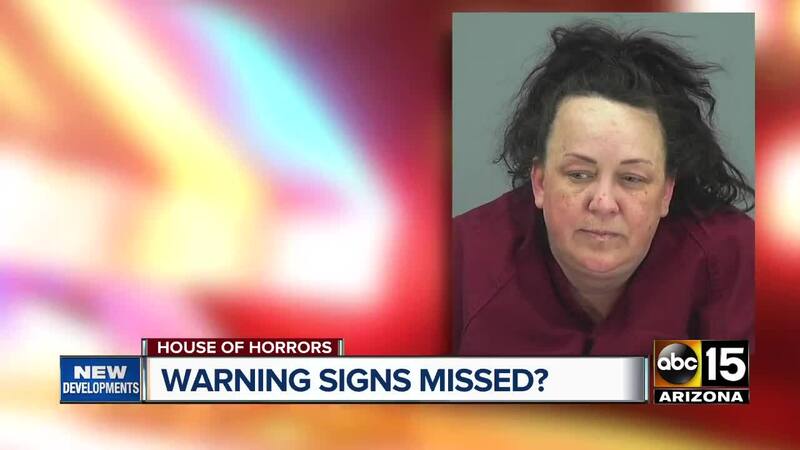 MARICOPA, AZ — A woman in Maricopa, Arizona, who runs the popular YouTube channel "Fantastic Adventures," has been arrested, accused of physical abuse against her seven adoptive children. 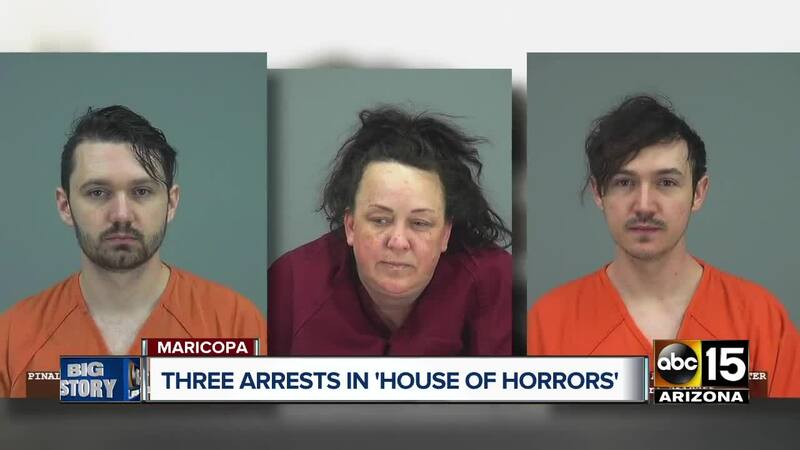 Maricopa police say that on March 13, a woman came to their department and said her mother had been abusing her siblings. According to a police report, she said the siblings were left in locked closets for days at a time, pepper sprayed and left with no food or water for days on end by their adoptive mother, 48-year-old Machelle Hobson. Police went to the home and allegedly found a child in a closet wearing a pull-up diaper and no other clothing. The closet did have a lock on it, but it was not locked at the time. Police say they children appeared pale, underweight and had bags under their eyes. The others described similar abuse, including abuse to their private parts and being forced to take ice baths. Police say the children were also forced to participate and “act” in the popular YouTube series that Hobson filmed in their home. Several of the children said if they forgot lines, or tried not to participate, they would be physically abused as punishment. Police interviewed one of Hobson’s adult sons, while the other chose not to speak. Logan Hackney said he and his brother Ryan discussed reporting the abuse, but never did. Logan allegedly admitted to knowing about the physical abuse, and said they would sneak the children food when possible. When questioned, Machelle "denied the pepper spray, denied the ice baths and stated the only forms of punishment she uses is having to stand in the corner, getting spankings and being grounded,” according to police paperwork. Logan and Ryan were booked into Pinal County Jail for seven counts each of failing to report abuse of a minor. 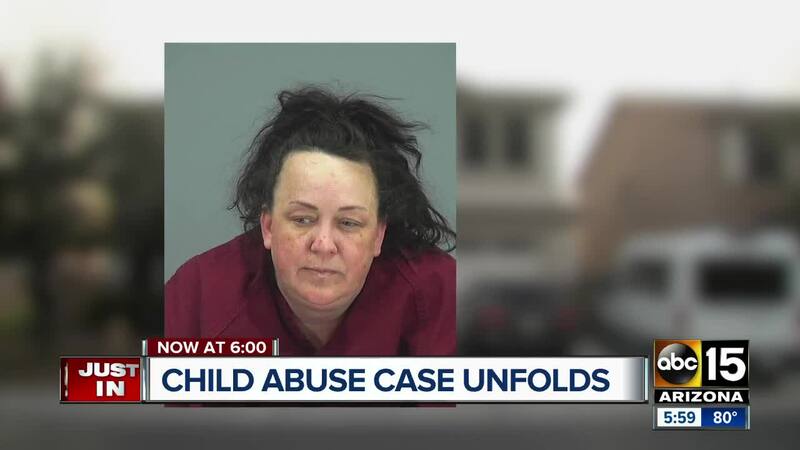 Machelle was booked into Pinal County Jail for two counts of molestation of a child, seven counts of child abuse, five counts of unlawful imprisonment and five counts of child neglect. 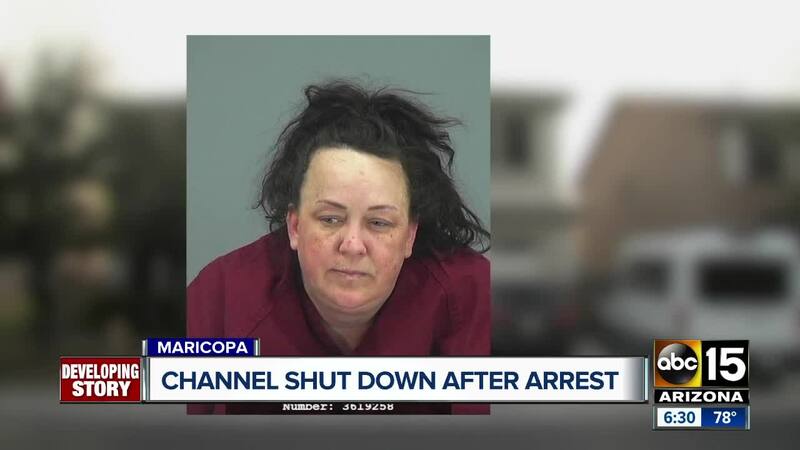 ABC15 reached out to YouTube about the woman's video channel and they confirmed the channel was demonetized once the company was made aware of the arrest. The Arizona Department of Child Services confirmed on Wednesday that the children were removed from Hobson's home on March 14, but said their office could not comment further on the case due to confidentiality laws. See their full statement below. The Arizona Department of Child Safety (DCS) can confirm that we removed the children from the home of Machelle [Hobson] on March 14, 2019. While we cannot comment or release information on specific aspects of this case due to confidentiality laws, we can comment in general on how DCS licenses its foster placements. The Department requires all potential foster placements undergo a thorough vetting process before acquiring a license. This process includes full background checks, a central registry check for prior DCS history, a fingerprint clearance card issued from the Arizona Department of Public Safety, home inspections, reference checks, and licensing classes through a provider agency. Licensed foster placements also receive quarterly home visits from their licensing agencies in addition to monthly DCS visits. As an added oversight, the court must approve out-of-home placements. Also through the court, foster placements are scrutinized by the biological parents’ attorneys, the children’s attorneys, the Guardian Ad Litem, which is an attorney who works in the best interest of the children, the Foster Care Review Board, and the judge. Once parental rights are severed, the foster parents begin the adoption process. After an adoption is approved by the court, DCS is no longer involved with the family. Despite all of these safeguards, people are sometimes able to avoid detection, especially if a person has no prior criminal or child abuse history. We would also like to mention that while a small number of people with bad intentions do manage to make it past the rigorous licensing and court process, the vast majority of Arizona foster parents are kind, charitable people and we appreciate their dedication to Arizona’s most vulnerable children.